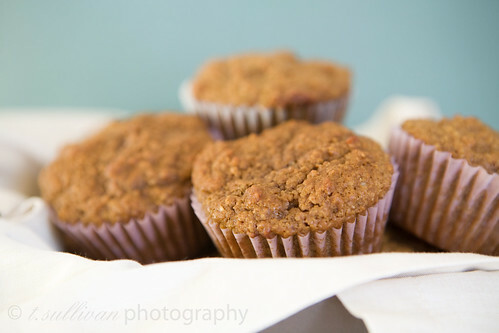 When I told my husband I was going to make some bran muffins, his first question was “Why?” and the answer is simple. Because I like them. Despite it’s reputation for helping, uh, move things along, I’ve always just liked the taste of bran. My favorite cereal is Raisin Bran, but I’ve always thought they put WAY too many raisins in there. I usually end up just eating the flakes and leaving the raisins neglected at the bottom of the bowl. The muffins were everything I hoped they would be. Very moist with a hearty flavor and just a hint of sweetness. Perfect for breakfast! It’s best to keep in mind that as good as these muffins are, you probably shouldn’t eat 3 of them at one time, if you know what I mean. Preheat oven to 400°F. Line a regular sized 12-cup muffin tin with cupcake lines, if you prefer. Liners or not, give each cup a spritz with non-stick cooking spray to prevent the muffins from sticking to the pan and/or liners. In a medium sized bowl, whisk together the flour, baking soda, salt, and bran until combined and mostly free of lumps. 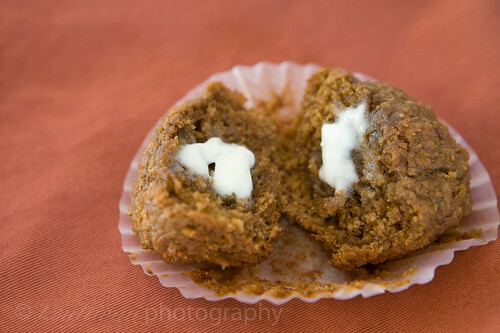 Cream the butter and brown sugar in an electric mixer with the paddle attachment until the mixture is light and fluffy. Beat in the egg, yogurt, and molasses. If using raisins, stir them in now. Spoon batter into the muffin tin and bake the muffins on the middle rack for 15 to 20 minutes (mine took about 17), or until they are golden brown and springy to the touch. Cool muffins on a rack. i love muffins , all shapes sizes and tastes. Thank you as well for the kind words about my blog! It’s always good to know that there are more bran lovers out and about in the world. Food and pictures of food are my favorite too! And I couldn’t agree more about that raisin-less cinnamon raisin stuff.